Thanks to my path I had the opportunity to acquire deep knowledge in traditional and conventional medicine, from a European and an Indian angle: My own uncle, a recognized practitioner of Indian Ayurveda Medicine taught me our traditional medicine. Moreover, I deeply explored another Indian traditional medicine called Yunani, a form of herbal medicine based on the teaching of Greek physicians like Hippocrates. It was then in Europe, that I became familiarized with European conventional and alternative medicine. I studied medicine in Europe and practiced as a cardiologist in Germany. However, it was when I myself became very ill that I turned into alternative Medicine, the only approach that cured me completely. It was in Germany that I explored and learned, under the guidance of Dr. Eiert, all about the European alternative Medicine approach, the German “Heilpraktiker”. That’s why I call my approach EURO VEDA Healing: the junction of European traditional herbal healing and Indian Ayurveda or Yunani – a unique combination of ancient medical cultures. 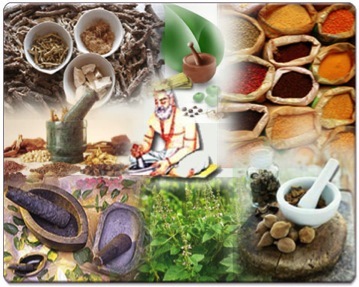 Ayurveda, the “Knowledge of life” – is based on more than 3000 years old Vedic principles. You should know that in India, the focus lies on treating basic misbalances within the body before they even transform into disease. The role of a practitioner is basically to prevent illnesses and maintain good health. Please refer to the section “Alternative Medicine” for more ample information on the different treatment methods. Believe in me, I continue to be amazed in the healing power of nature! For every single one of my patients, I listen, observe and carefully analyze, always keeping in mind the uniqueness of each one’s situation. It is with respect, care and compassion that I put all means together to achieve sustainable healing and a quick improvement of well-being. Throughout my experience, I have seen astonishing success stories (please refer to my case studies) in treating diseases and ill-being with natural and rather simple treatments, including changes in diet, nutritional supplements and colonic irrigation. All those therapies cure the underlying imbalances while minimizing side effects. I came to fine tune my understanding of different plants and their actions on various diseases. I am truly passionate about my profession and I believe that we could avoid so much suffering with a correct and adequate diet and hygiene. It is the basis for our everyday well-being independently of your age. It is as simple as this: without correct diet and hygiene, your body cannot maintain balance.